I was walking towards the main gate of a local mall yesterday to get some groceries when who do I see walking to the parking lot but Kabesang Sales, erstwhile of the DLSL Pilipino Department and one of the school’s certifiable Ginangs. “Kabesa!” I greeted her. “Huy!! !” was her instinctive reply, surprised at having been accosted. But I am probably the only one on God’s earth who still continues to call her Kabesa; and the moment she realised that it was I who was holding on to her arm, she burst into a spontaneous smile. She was with old classmates from The Mabini Academy, she told me; and they were meeting to plan for a reunion. “You look young!” I told her. There was no bola to my remark. Fe Sales was the Pilipino teacher of my Homeroom; and the ‘Kabesa’ was a take on Noli Me Tangere’s Kabesang Tales. I do not think that the nickname ever became universal; but I certainly found it cute and continued to call her that way till the present day. Retirement can do that to some people; make them look younger, that is. Spared of having to treat other people’s problems as their own, the absence of stress makes them look happy and glowing again. And Kabesa was that! We did not talk long because we both had to go on our ways; but I strangely felt happy because of the chance encounter. Kabesa will be Fe Dominga Sales, of course; erstwhile Pilipino teacher of DLSL. The ‘Dominga’ is a state secret not even the CIA knows about; kept clandestine on pain of death. 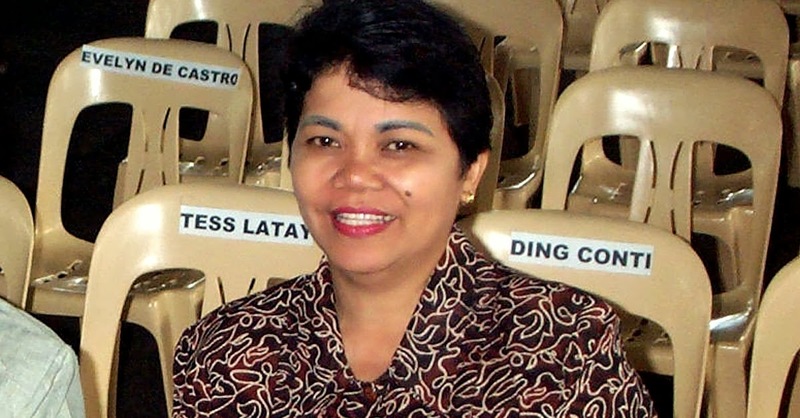 In my early years teaching Social Science in the school, she was known as the Helen Vela of DLSL. Not entirely a spitting image of the radio and television personality, perhaps; but the resemblance was easy enough to recognise. Indeed, even now in her senior years, Kabesa retains her natural beauty. It is among the fringe benefits of teaching as a profession that most of us age gracefully; and Kabesa has certainly done that. Although I myself used to be pretty handy at giving people monikers, the ‘Kabesa’ was not among my originals. I first heard the nickname used by Reginald Dimacuha, now Administrator of Batangas City, when he was a senior in my Homeroom. At the supermarket of the same mall, I was in a hurry to get home after having gotten my groceries. My heart dropped when I saw the long queue leading to the Blue Cart row of cashiers. Only one of the Blue Cart sections was open. In front of me, there were two Big Cart cashiers, each with only one customer and the punching of items for both nearly done. Conveniently in front of me, there was an empty big cart probably left behind by one shopper. It was entirely a spur of the moment thing, but I immediately transferred the contents of my blue basket to the cart and proceeded to one of the big cart counters. Before long, my groceries were being punched in. A shopper pushing a blue cart tried to line up behind me, but the cashier waved her away to the Blue Cart section. I sneaked a look at the queue at that section and it had not changed. Sometimes, life boils down to mere ‘diskarte’, but in business classes there are these things that are being taught called customer service and response time. While policies are laid down to the greater benefit of everyone, flexibility is also key to the implementation of these for the general satisfaction of customers. In yesterday’s case, for instance, the Big Cart Blue Cart policy was of no service at all; not when one section had overworked cashiers and grumpy customers in a queue while other cashiers had little to do.